The uninformed buys into the mercantilist creed that trade deficits are bad and trade surpluses are good. 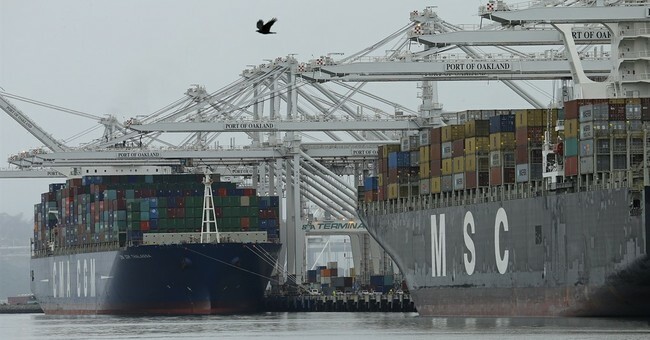 My George Mason University colleague Donald Boudreaux wrote a blog post titled "If Trade Surpluses are So Great, the 1930s Should Have Been a Booming Decade". The U.S. had a current account trade surplus in nine of the 10 years of the Great Depression, with 1936 being the lone exception. The fact of the matter is that our nation has registered current account deficits throughout most of our history, from 1790 right up to our modern period (http://www.econdataus.com/tradeall.html). Over that interval, we went from being a poor, relatively weak nation to the richest and most powerful nation in the history of mankind. So if, as our fearmongers would have it, current account deficits are so harmful, how did we accomplish that feat? Economies are far too complex to draw simple-minded causal connections between trade deficits and surpluses and economic welfare and growth. Now, here is my question to you: Do you think the Chinese are so charmed with green slips of paper with pictures of Benjamin Franklin that they just hoard them? No way. Instead of purchasing tangible goods, the Chinese purchase capital goods -- such as corporate stocks, bonds and U.S. Treasury debt instruments. The Chinese purchase more capital goods from us than we purchase of the same from them. That means the deficit on our current account is matched by the surplus on our capital account.